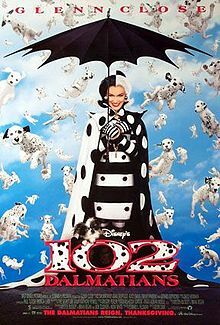 Cruella De Vil is released from prison, apparently reformed by hypnotherapy, and devotes herself to good causes. However, the effects quickly wear off and she returns to her evil ways, intent on making a coat out of her parole officer's numerous puppies. Not a great adaptation.